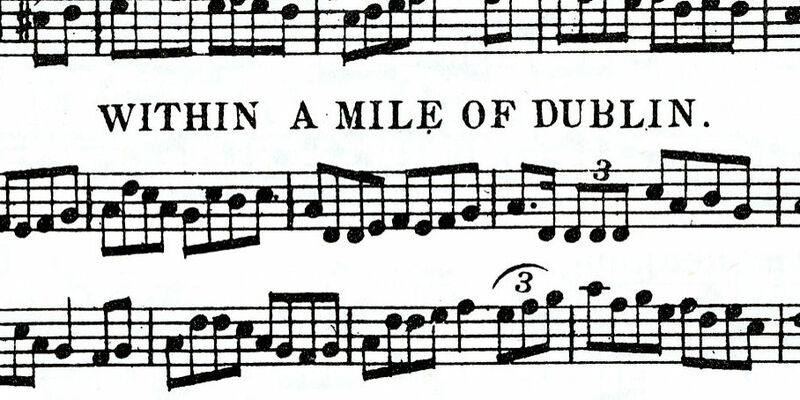 The final broadcast of the Within a Mile of Dublin 2 series focuses on the PW Joyce Collection, bringing together conversation, song, and music to show how the work of a 19th-century collector continues to shape the practices of musicians in the 21st century. Patrick Weston Joyce (1827–1914) was born in the Ballyhoura hills on the borders of south-east Limerick and north Cork. Unlike the earlier important collectors of Irish traditional music Edward Bunting (1773–1840) and George Petrie (c. 1790–1866), Joyce came from within a local oral-music tradition and was immersed in it. In this he resembles the other younger nineteenth-century collectors James Goodman (1828–1896) of Co Kerry and Francis O’Neill (1848–1936) of Co Cork and Chicago. His detailed reporting of a living local tradition, from a time when the population of Ireland was at its highest-ever levels and Irish traditional music accordingly was in a flourishing state, gives his work a unique value. He published four music collections in his lifetime, the first in 1873 and the last in 1909. Manuscripts of a final unpublished work, which contain 878 songs and melodies with notes, remained unpublished in the National Library of Ireland until ITMA, courtesy of the Library, copied them for facsimile publication on the P.W. Joyce microsite.